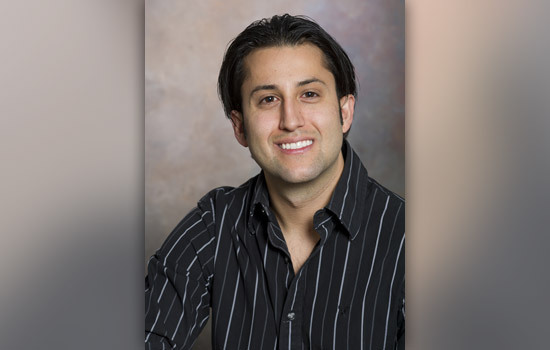 Rochester Institute of Technology graduate student David Principe has won observation time in the upcoming year to study star formation with NASA’s new Stratospheric Observatory for Infrared Astronomy (SOFIA)—flown on a modified Boeing 747SP aircraft—and the space telescope, Chandra X-ray Observatory. Principe is in his third year of RIT’s astrophysical sciences and technology doctoral program housed in the School of Physics and Astronomy within the College of Science. He specializes in multiwavelength astronomy, a technique that uses data collected across the electromagnetic spectrum. The combined information builds a picture about an astronomical object with details specific to each domain of light—radio, infrared, optical, ultraviolet and X-ray. Principe is a member of the Laboratory for Multiwavelength Astronomy in the College of Science. Directed by Joel Kastner, professor in the Chester F. Carlson Center for Imaging Science and Principe’s thesis adviser, the lab consolidates related research by likeminded faculty, staff and students who participate in the Astrophysical Sciences and Technology doctoral program offered by the School of Physics and Astronomy. Multiwavelength astronomy broadens Principe’s perspective when looking for stars on the cusp of formation—the elusive “Class 0” protostar—embedded in molecule-rich clouds. SOFIA’s first observation cycle will collect infrared data about possible protostars in the Orion B molecular cloud complex and other examples in the star-forming region of Monocerotis OB1. Principe will compare the new infrared data with observations from the archives of NASA’s Spitzer Space Telescope and Chandra X-ray Observatory. His research aims to establish the extreme youth of at least one protostar in the infrared and connect it with the active magnetic fields visible to Chandra in the form of X-ray emission. His research could help shape current astronomical theories on star formation by establishing the importance of magnetic fields at the earlier stages of the process, Principe says. Principe also won a proposal with the Chandra X-ray Observatory to determine the effects of X-ray radiation on the gas-and-dust disk surrounding and nourishing a nearby young star, T Chameleonis. A chemical analysis of the light leaking through the disk will reveal its components and the phenomenon producing X-rays, Principe says.